Srinagar:The Kashmir Working Journalist Association (KWJA) and Kashmir Journalist Association strongly condemned the summoning of a Srinagar based journalist Auqib Javed Hakim by National Investigative agency and threatened to stop working terming it as intimidation and harassment of Kashmiri journalist. Hakim, an accredited journalist working with daily Kashmir Observer has been summoned to New Delhi by NIA, apparently for what appears to be a story he reported. A joint statement from the associations, condemning the move, said the summoning reflects the highhanded approach of the federal agency to ascribe motive to journalists’ professional work and summon them like criminals. “It is also highly regrettable that Aqib has been summoned, out of the station, at a very short notice, without giving a damn to how he manages to do it,” the statement said. “The NIA’s ham-handed approach towards journalism has earlier also been exposed in its detention of the Kashmiri photojournalist Kamran Yousuf, last year, in whose case, the NIA even tried to define journalism by its own skewed standards,” the statement further read. “It would be in the national interest for the federal authorities, as well as J&K, to improve their record for press freedom, rather than resort to authoritative measures, that further malign the image of the country,” the statement said. 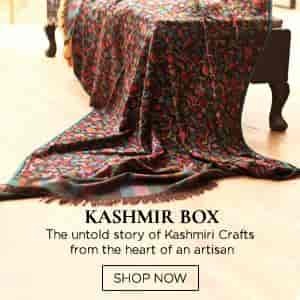 “We also realize that the latest summon seems to part of a larger conspiracy to muzzle press freedom in Kashmir,” the statement said. “The journalist fraternity in Kashmir cannot take the act lying down and is watching the developments keenly. We also appeal to the Honourable Governor J&K, N N Vohra to intervene in the matter, and ensure an end to harassment and intimidation of Kashmiri journalists by the policing agencies, failing which the journalists would be forced to stop working en-masse in protest,” the statement said.